In the ongoing discussion concerning the nature and meaning of near-death experiences, one quickly comes to realize this is not simply a debate between those with various religious beliefs and those with a more scientifically-minded approach in understanding the universe. The discussion is actually one at the leading edges of modern science, concerning the very relationship between the mind and the brain – the fundamental nature of reality itself, once one realizes the all-pervasive influence of consciousness on one’s perceptions of the world. The conventional scientific world-view of materialism (or physicalism) has never even gotten out of the starting blocks in addressing the nature of consciousness (witness “the hard problem of consciousness”, as it was defined by Australian philosopher of mind David Chalmers in The Conscious Mind in 1996). A recent Scientific American blog entry (4/19/18) by computer scientist Bernardo Kastrup helps to sharply define the framework of this debate, referring to Thomas Kuhn’s The Structure of Scientific Revolutions and recent results in quantum physics experiments to elaborate an inevitable revolution in our thinking that fully opens the door to such concepts as an afterlife and even of reincarnation. Bernardo does not make those same leaps in his Scientific American article, but he clearly opens the door to such thinking, especially for those who mistakenly believe that current science eliminates the possibility for such human experiences to be more than hallucinations and delusions. 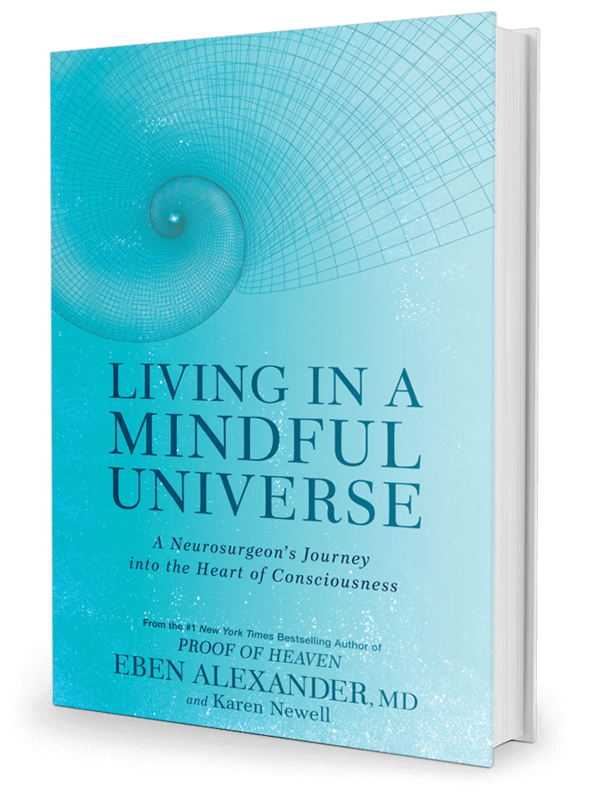 Our book, Living in a Mindful Universe, connects the dots in this discussion, one in which we see science and spirituality as actually strengthening each other – but this is best accomplished through a broad opening of our minds to accommodate all of human experience, and not just that which fits the currently accepted (yet obviously broken) paradigm. The issue was succinctly delineated by early quantum physicists, such as Werner Heisenberg, quoted above. A cursory knowledge of modern science (deeply steeped in the assumptions of physicalism, i.e. that only physical stuff exists) does indeed lead one toward atheism, and away from any possibility of humans actually having free will (especially given conventional science’s notion that all of consciousness is no more than the epiphenomenon of chemical reactions and electron fluxes in the substance of the brain). But the revelations from increasingly refined experiments in quantum physics (specifically taking Einstein’s 1935 argument for the incompleteness of quantum physics, and physicist John Bell’s brilliant 1964 theorem hinting at experimental approaches to addressing Einstein’s concerns) demonstrate with increasing power the need to relinquish our broken fiction of materialist thinking – a whole new paradigm is in order. This is Kastrup’s conclusion in Scientific American, and in our book, Living in a Mindful Universe, and its companion free email course “Your 33 Day Journey into the Heart of Consciousness.” In the book and companion course, Karen Newell and I explore not only the implications of this paradigm shift for individual humans trying to make sense of their own lives here on earth, but also the absolute necessity for humanity to awaken to this new paradigm. We must stop the errant and misguided forces of scientific materialism (and its false notion of separation and competition, as opposed to oneness and collaboration) from leading us further along a pathway of self-destruction. The phenomenon of consciousness consists of the very relationship between the mind and the brain, especially as exemplified through all manner of human experience (including the huge swath of paranormal and other anomalous human experiences of non-local consciousness). These rather common experiences and rigorous empirical data from the realm of quantum physics are forcing humanity to resolve some of the deepest issues raised over the last five millennia of human experience. It’s high time we woke up to these troubling contradictions to the pervading paradigm of materialism and shifted our collective worldview appropriately. We live in a mental universe, projected out of consciousness, just as Heisenberg (and Max Planck, Wolfgang Pauli, Erwin Schrödinger, and other brilliant founders of the field of quantum physics) realized based on their experiments. More modern physicists (e.g. Henry Stapp, Brian Josephson, Roger Penrose, Bernard Carr, Fred Rosenblum, Menas Kafatos, Amit Goswami, among others) would agree that recent experimental results force the primacy of consciousness even more than those early results that befuddled the likes of Albert Einstein and Neils Bohr. We can make far better sense of our world by acknowledging our spiritual nature, and the spiritual nature of the universe itself. Heisenberg’s God is alive and well, buried behind the false dichotomies of conflicting religious dogma, in plain sight as the very origin of our conscious awareness. We live in fascinating times. The world at large, as well as the scientific community, are in the process of an unprecedented awakening that we see as an inherent part of human destiny over the last few millennia. This awakening is empowered by our very investigations into the nature of consciousness, and into the metaphysics underlying the mysterious workings of quantum physics. This investigation into the fundamental nature of reality is directly relevant to us all, ultimately leading to far more meaning and purpose to our existence. We have much greater power over our lives, and over the emerging consensus reality, than we have previously been led to believe. Our modern world often puts science and spirituality at two ends of a spectrum. In this complimentary 33-day course, we bring them together as a companion to the book, Living in a Mindful Universe. The course serves as a sneak preview, including bite-sized nuggets of complex topics. Personally, I find it most satisfying that Day 1 of the course begins on my father’s birthday. Although he passed from this world in 2004, four years before my coma, he has had a profound influence on my ongoing journey – it is fitting that this 33-day course launches on the anniversary of his birth. Receive a new lesson each day along with daily practices and access to unlimited streaming of four Sacred Acoustics recordings, all completely free—no soul left behind! Sign up today and begin Your 33-Day Journey into the Heart of Consciousness. For some time now, I have toyed with the idea of writing an article for the mainstream press on the fascinating turns that have recently emerged in the mind-body discussion. Such notions included the possibility of writing for Scientific American, a magazine I have always appreciated, but also one that I have come to realize is a bastion of materialist science. 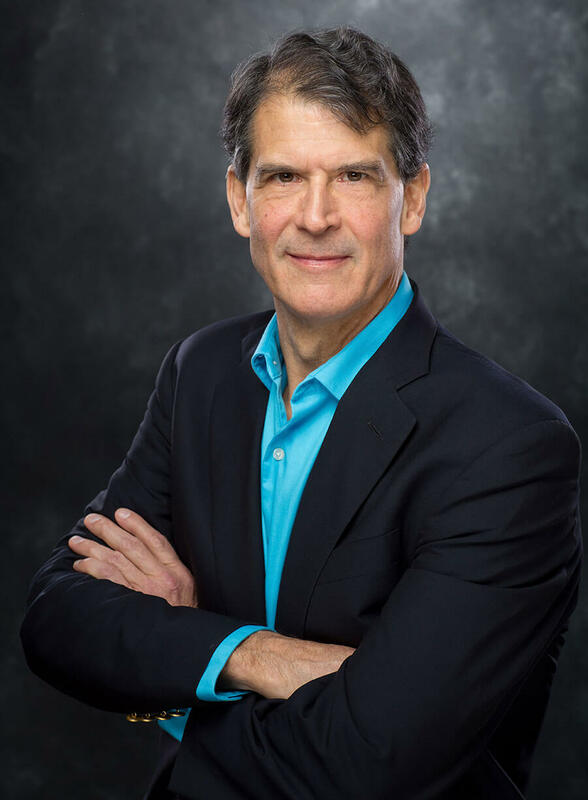 Anticipated resistance by the editorial board has given me pause, but I was heartened by the recent appearance of a guest blog posted by someone whom I have come to see as an ally in some of my evolving ideas concerning the nature of consciousness. In my presentations, I offer the examples of terminal lucidity (great clarity seen in the mental worlds of elderly demented patients as they approach death) and acquired savant syndromes (in which brain damage, whether trauma, stroke, autism, etc. unmask superhuman mental capacities) as commonly observed evidence that the brain is not the producer of consciousness, but instead only functions as the receiving filter that allows in limited forms of primordial consciousness. Another example, which I wrote about in a blog posting, “Compelling Studies on Drugs and Consciousness,” on 4/18/16, concerns three recent scientific papers on the shocking findings concerning brain activity under the influence of powerful psychedelic drugs, like psilocybin, dimethyltryptamine, and LSD. Note that I do not recommend the use of these substances outside of any sacred or investigational context. Completely contrary to what conventional physicalists like Sam Harris would expect, the studies revealed that the most extraordinary mental experiences occur in those who have the greatest inactivation of major junctional regions in the brain! This finding was so astonishing that it prompted Christof Koch, Chief Scientist for the Allen Institute for Brain Science in Seattle, to write a column in Scientific American entitled “This is Your Brain on Drugs: To the great surprise of many, psilocybin, a potent psychedelic, reduces brain activity.” His column portrayed the extraordinary nature of the findings, especially because of the dramatic reduction in activity of the most complex junctional regions in the brain, and the fact that no regions of the brain showed any increase in activity – widespread suppression was seen, and its degree correlated with the power of the psychedelic experience itself! Bernardo has taken these same observations and written a very coherent article concerning the mind-brain relationship, in a way that clearly portrays the existence of mind as something that cannot be explained by brain alone. His article is a breath of fresh air for those who have come to realize the fatal errors of the materialist position (that consciousness arises from the brain). My hardiest congratulations go out to Bernardo for his excellent ongoing work adding some intelligence to the mind-body debate that is now entering a very fruitful phase. The main reason I have been so occupied the last few months (and have not been posting regular blog entries) is that I have been hard at work over the winter writing my 3rd book. It is the natural extension of the story told in Proof of Heaven, but covers the nine years of growth and understanding with which I have been blessed since awakening from coma in November 2008. My life partner, Karen Newell (co-founder of Sacred Acoustics) is my co-author. Those who know us will realize her hearty contributions have greatly enhanced the quality of this offering, which will be published in North America on October 17, 2017 (foreign editions are still pending). We are most excited about the book, and feel that it will continue the robust awakening for humanity that was foretold in Proof of Heaven in 2012. I will be sharing more of that book and what it promises in blog postings over the next few months. In the interim, we have several workshops planned at which we will discuss and share some of the methods and techniques from the book. These events and more are listed on my Events page as soon as they are made public. Just as people began responding to my blog on “Confronting Evil,” reports started coming in about the tragic deaths in Nice, France on July 14 – the killing of innocent people around the world continues to shock us daily. Yet again, we are confronted with unbelievable crimes against humanity, no matter what the cause, from mental instability to terrorism. If this is earth school, what are our lessons today? And more to the point, how does the force of pure love felt by so many who report near-death experiences play a role through all of us in healing? After extending the deepest condolences and prayers of love and comfort for the victims and their families, we have a choice to make – to meet hatred with hatred or to bring love and compassion into the equation. Forgiveness may take some time, but is also key to shifting the dynamic of love in our world. The one who benefits most from forgiveness is the forgiver. Each of us individually has the free will to choose our response, and each of us is at a different level of awareness, learning, and spiritual growth. It is not about being better than another, or always choosing wisely (because we do learn from mistakes), or even sharing a common belief system. But it is, I think, about reaching closer to a mutual goal of unconditional love, at our own rate. After all, some may not yet realize that love is a worthwhile goal, and no amount of being told “this is what you should or must believe” will get them there. We all learn and grow based on our own experience and understanding. We know, from the sheer numbers of NDEs and the commonality of their reports, that the soul is not limited by the existence of the physical body, and is eternal. Yet, many people do not believe the soul is eternal, because they have not personally experienced an NDE or other spiritually-transformative experience (STE), nor read much about their evidential nature. They may not have had the opportunity to meditate, pray or experience the spiritual aspects in their lives — yet. They have their own lessons to learn, as do we all. My worldview has been shaped not only by my profound NDE deep within coma, but also by the confirmatory testimony from many souls I have met along the pathway of sharing my experience and its most positive message about humanity and our earthly existence. The underlying message is one of unity, Oneness, and the higher good of all being the goal. I believe that this focus on the primacy of love, mercy, compassion and forgiveness is at the core of all of the great faiths of the world, although it has often been twisted and distorted by those humans who take it on themselves to interpret and present to the masses an altered version of the original message of the prophets, often towards the goal of controlling others. This mode of control is completely at odds with the simpler and more profound message originating in those great teachers of love and compassion – Buddha, Christ, and Muhammad being prime examples. This worldview is centered in the Oneness of all consciousness, and the source of that Oneness is the infinite healing power of unconditional love at its core. As always, a cardinal transgression at the heart of this worldview is the act of killing — the killer violates the miracle of life through killing, whether of self or others. From my journey, it is clear that suicide and homicide are wrong at the deepest levels. Homicide is justified only if it prevents the homicide of others. Peaceful solutions and avoidance of escalation of violence through retribution and revenge represent the ideal. But in our complex world, one must often support the actions of good police officers, who endeavor to protect all citizens without bias or prejudice, and of soldiers, who protect the innocent by defending against threats and violence. When the intent to value and protect life is central, such actions are manifestations of this same fundamental love and respect for the sanctity of life. The deep love of this universe is just, and honors not only life but the expression of free will by those who respect others. We are all co-creators of the world we wish into being from our loftiest dreams. To clarify specific questions regarding the “life review” that a terrorist might have, my journey witnessed the broad mechanism of souls having their life review as a crucial part of the soul school aspect of existence, that we are all here to learn and teach as consciousness evolves. The life review is not what an individual perceives simply from their own perspective, but rather it is an omnidirectional evaluation from everyone with whom we have interacted – we feel our words and actions through their eyes, and through their extended family and friends’ eyes and hearts, and through those who may read a news article about a public incident, etc. Crucially, we feel the emotional impact that our actions and thoughts have on others, from their perspective. The perceived boundaries of our individual self turn out to be ephemeral, and the Oneness we share with all other beings becomes apparent. So, the murderer will feel the emotions, pain and sadness of the murder victim, and there is no escaping this. Magnify that by the number of people harmed or killed, and by the number of people around the world who are shocked around feelings for that murderer. These are intense feelings that will likely be a personal hell for the one having such a “life review.” After he completes his review, in the brilliant healing light of the unconditional love of Source, he will come to better understand the crucial role of love. Free will is available to all – it is not whether, but how it is used, that can assist one in evolving swiftly or slowly, or remaining stuck. And, as far as the force of love at the source getting through to someone cast as “evil,” it depends on all of us, doesn’t it? If such actions are countered with hatred, love will have a hard time being seen or felt. On the one hand, we could allow the terrorists’ agenda to trap us in fear and hatred of them and their actions, and to separate us from others. If, on the other hand, enough people shift to love and pray for all, that some kindness can penetrate the wall of hate the terrorist has constructed, then we begin to chip away at those hardened beliefs that lead them to repeat their cycles of destruction. Of course we must try to contain their actions and protect others, but there is a fine line in our approach, our intent. As a civilization, we have a responsibility to defend people from such violence, and how we go about it is another free will choice—one that benefits from many thoughtful people engaged in finding answers. Most people, including myself, would defend themselves or their families if they were personally threatened. But what do we do after the danger passes? Do we forgive, do we pray, do we re-center ourselves in love? How do we honor the fallen in this seemingly perpetual cycle of violence? Perhaps their extreme sacrifice can lead us to review our laws (internationally) about allowing guns in our communities, to reword our every message and action based in love, and to enter more publicly into dialog about our mutual journeys of soul that endeavor to bring down walls rather than build them higher. We are truly One, and the more we come to know and live this, the better off we all will be. This supposition hinges on the notion that humans react similarly to various specific challenges, and assumes that we all pursue rational solutions to our problems with others. Does this apply in the face of apparent evil, such as the spasm of terrorism and efforts at counter-terrorism that grip our modern world? Can we truly come to fully understand the life and motives of a terrorist, to the point of “pardoning” their actions? Doesn’t the rampant killing of innocents violate everything that a sane human being holds dear? After the 9/11 attacks in 2001, then-President George W. Bush referred to the rogue states of Iraq, Iran and North Korea as the “axis of evil,” which he claimed to be the main source of terrorism at that time. Since then the world has witnessed an expansion of institutional terrorism as well as a spike in “evil” activity by individual, disgruntled terrorists or malcontents across many countries and continents. The concept and consequences of “evil” are as old as time, but the choices we make about how to confront it or root it out in today’s world have more far reaching consequences than ever before. Episcopal priest Steven Paulikas recently wrote a thoughtful op-ed piece in the New York Times (6/27/16) concerning the “fool’s errand” of trying to stamp out the evil expressed through terrorist acts. He highlighted the writings of philosopher Paul Ricoeur, who was orphaned when his father died as a soldier in the first World War, and who himself spent five years as a French prisoner-of-war held by the Germans. Ricoeur realized that evil exists not as a thing per se, but as a black hole of thought, making it a much tougher entity to simply “extinguish.” He stressed the importance of responding to evil appropriately, mainly in the form of addressing the suffering of the victims. This wisdom espoused by Ricoeur involved “an unwavering commitment to relieve and prevent suffering,” as Paulikas put it. Ultimately, I believe any such eradication of evil will come from a deeper understanding of the experience, emotions and motives that drive all involved. As much as the National Rifle Association would urge us all to take up arms and take this fight to the level of Armageddon, I know that our ultimate solution will involve love, compassion and forgiveness. Otherwise, it all mires down into an endless cycle of repetitive violence, revenge, and misery for all concerned. The falsehood that one can destroy such “evil” through military might has been exposed and disproven time and again in the recent decades of escalation— the status quo is not leading towards a solution. And these cycles, when replicated on a micro-scale in our own neighborhoods and families, deliver no better results. The way out? To express our free will in the face of this madness. To break the cycle of revenge and retribution will involve choosing a higher view, one that is broad enough to engage a win-win strategy and that includes all of us together on this journey. This view is no Pollyanna dream, but a potential goal strongly supported by emerging scientific notions of the nature of consciousness, and the ever-evolving evidence that we are all part of One Mind — thus to harm my neighbor (or my enemy) is to harm myself, in a very real sense. Combine this awareness with compelling evidence from the study of the mind-brain relationship: that the consciousness of which we are all a part is eternal, and that the rich literature on near-death experiences (NDEs) offers much evidence for a fundamental reality that is spiritual at heart – a reality that derives its essence from the power of unconditional love at the core of all creation. With clearer vision, one begins to glimpse a pathway out of this morass. Having your life “flash before your eyes” is not just some recently discovered concept – the “life review” aspect of NDEs has been described across numerous cultures, belief systems and continents for millennia. The life review at the end of one’s physical life is the stage on which our higher souls (and soul groups) judge the various thoughts and actions of our lives that still have important lessons to offer. Given the strong purpose of justice and of learning that is inherent in one’s life review, it serves as a powerful corrective in one’s eternal soul journey, gently but firmly providing lessons that steer us more towards love, compassion and forgiveness. Each lesson helps us to integrate our individual desires with the Oneness so often and affectionately described by the millions who have been there as a result of an NDE or similar forms of spiritually-transformative experiences (or STEs). The life review of someone who has killed others will be a hellish experience that involves feeling the pain and suffering not only of each of the victims, but also of all the other souls who felt pain when coming to know of their act of killing. This reality comes not from the dogmatic preaching of ideologues, but from the empirical evidence of human experience–from those who have been there, as revealed by the increasing number of stories of NDEs and similar STEs liberally annotated over the internet in recent decades. Much of the absolute tsunami of such evidence comes as a result of enhanced techniques of cardiac resuscitation available to physicians worldwide over the last half century or so. The world is populated with literally millions of souls alive today who have been to the other side and returned to share their experiences. And, the increased number of incidents and expanded reporting through books, media and the internet are not by accident or coincidence. Ignoring such evidence is a choice we should not make. As the reality of the One Mind, of our interconnectedness, and of the core presence of love as a fundamental constituent of our evolving universe becomes more established and begins to alter our perceptions of ourselves and of our role in this evolution of consciousness, this reality will displace the false sense of separation so prevalent in our current materialistic world view. We will finally begin to mature as a sentient civilization, choosing to move towards the loftiest of realities of human potential—one based in peace, harmony, and a focus on the higher good. Even if only a small percentage of souls currently recognize this reality, it is nevertheless present in every soul’s fundamental essence, waiting to be turned on, to be expressed instead of repressed. On a practical level, we can exercise free will guided by oneness and love in matters of everyday experience as well as in those of international policy. We are all, truly, in this together. But we have fooled ourselves into a false sense of separation, whether from secularist and deterministic Newtonian science or the competitive dogma spewed to the masses from religious zealots of diverse beliefs that run counter to the original unifying principles in the mystical traditions of all of the great faiths. The fundaments and birthright of this universe are based in love, compassion and forgiveness. I believe we have reached a major juncture, from which we can choose either awakening to these eternal truths, or committing planetary suicide. The choice is ours. I, for one, am optimistic that our destiny is to choose awakening.